In this page, the calcium nitrate salt is discussed. Its behavior regarding solubility and hygroscopicity will be reviewed as well as its different hydration states. 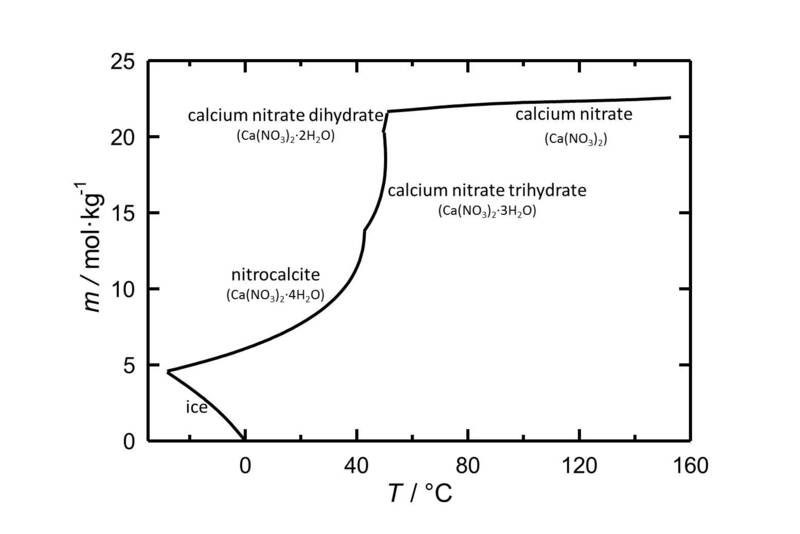 Figure 1: Solubility of calcium nitrate in water. The molality m [n(Ca(NO3)2•xH2O)•kg(H2O)-1] is plotted against the temperature. Under standard conditions the tetrahydrate of calcium nitrate Nitrocalcite is the stable phase. With its relatively high solubility in water it is a highly soluble salt. The temperature dependence of the solubility is shown in the solubility diagram, where in parts the solubility increases extremely with increasing temperature. The dehydrations to the Trihydrate, Dihydrate and at least to the anhydrous calcium nitrate take place at 43 °C, 49.5 °C and 51 °C, respectively. 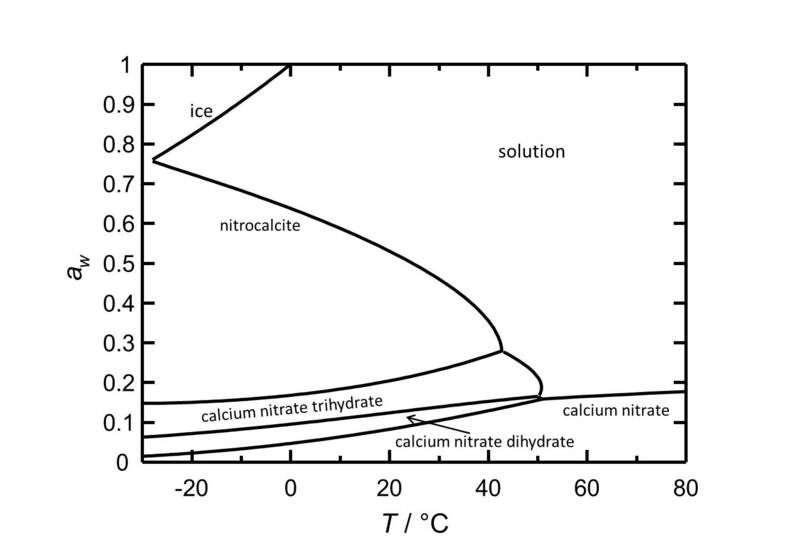 Figure 2: Deliquescence behaviour of calcium nitrate in the temperature range from -30 to 80 °C. The water acitivity aw is plotted against the temperature. Calcium nitrate and its phases are hygroscopic salts. At a temperature of 25 °C the Nitrocalcite has a deliquescence humidity of about 50 %. The phase transitions to the other two hydrated forms and to the anhydrous calcium nitrate occur at relative humidities of 22 %, 13 % and 9 %, respectively.